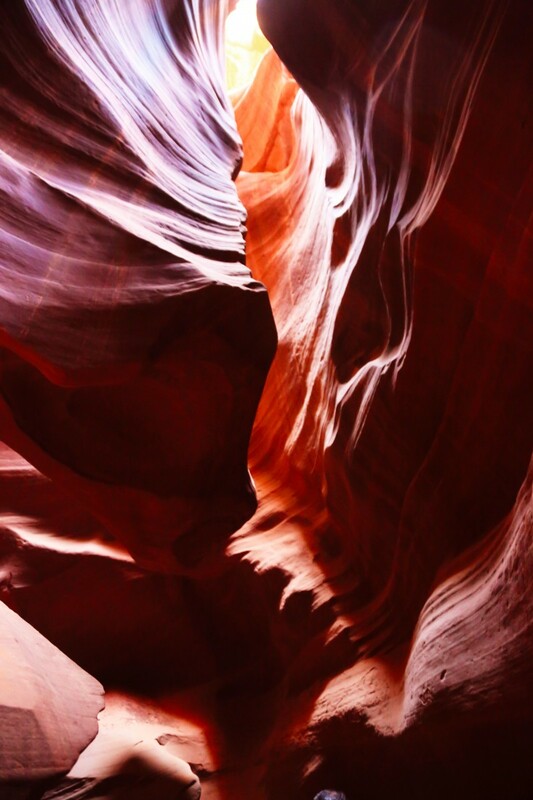 Antelope Canyon is actually two different canyons. 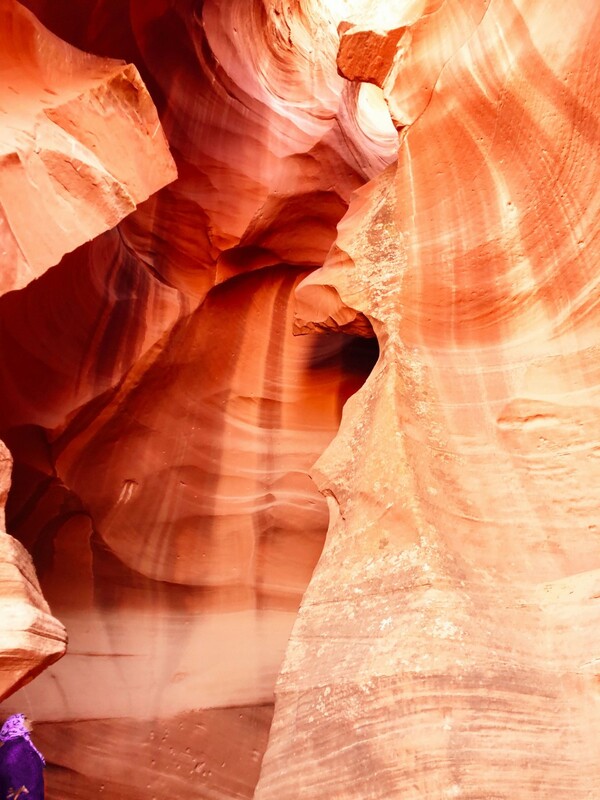 Upper Antelope Canyon is the most popular and colorful with curvy walls that reach 120 feet high. 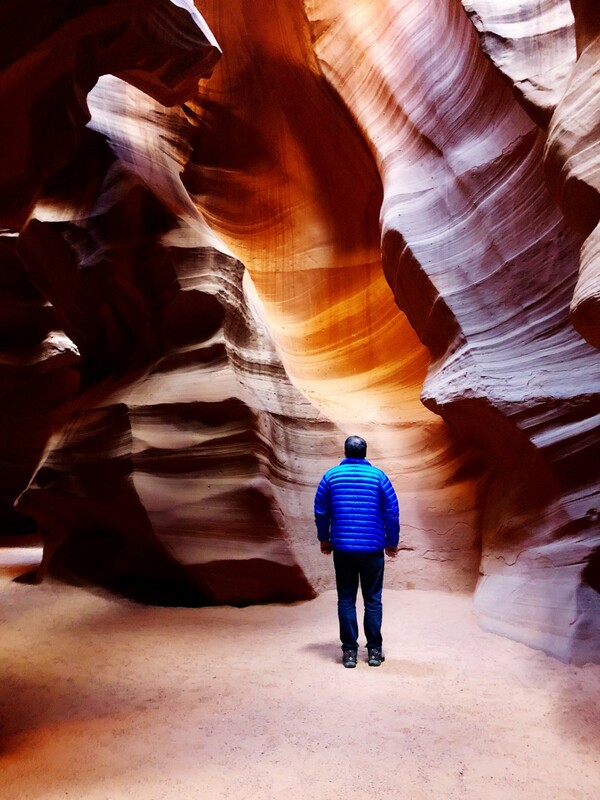 Lower Antelope Canyon is narrower and less user-friendly (and I did not visit it on this tour). 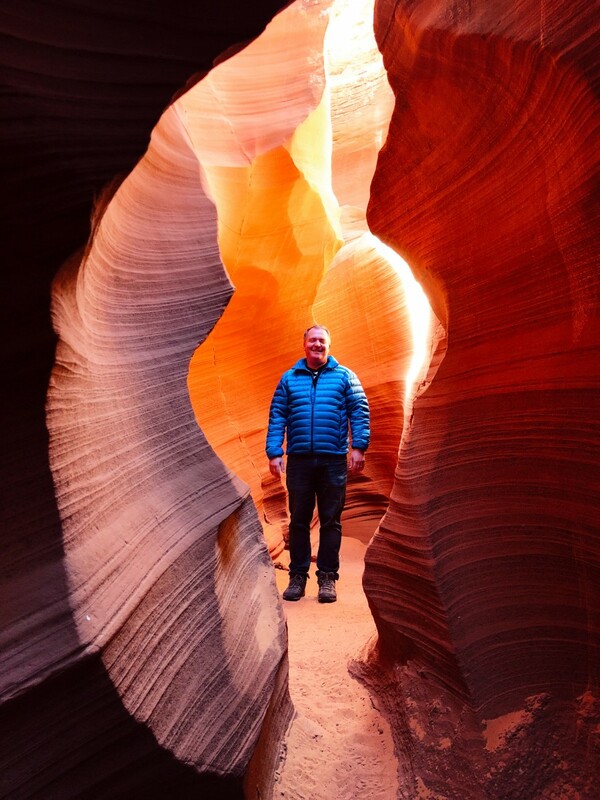 The three slot canyons I toured were Upper Antelope, Side Canyon, and Rattlesnake Canyon. Different outfitters have access to different slot canyons, so who you book with will determine which slot canyons you get to visit. 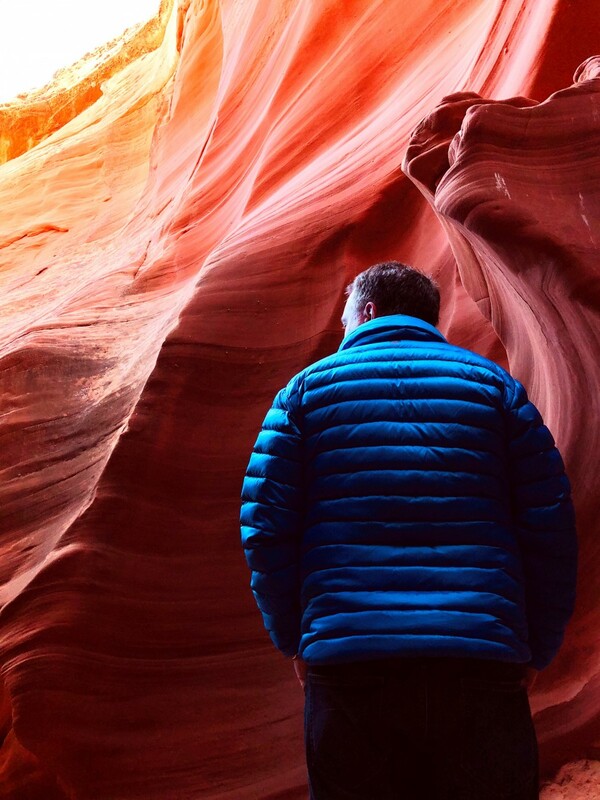 The canyon’s uniquely smooth and colorful sandstone was formed over millions of years exposed flash floods, water erosion, and wind. The resulting walls are smooth and curvy, with variations in texture and color. 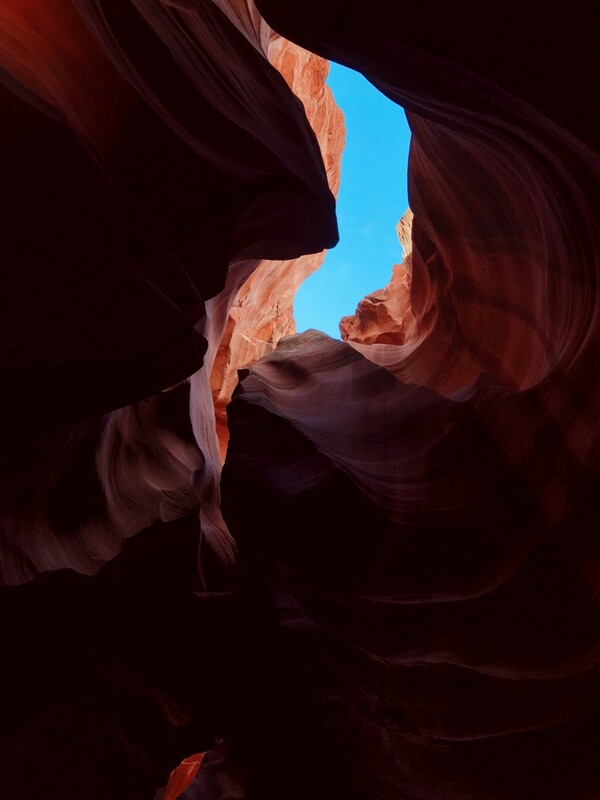 Antelope Canyon is located within the Navajo Nation land about 10 miles southeast of Page, Arizona. 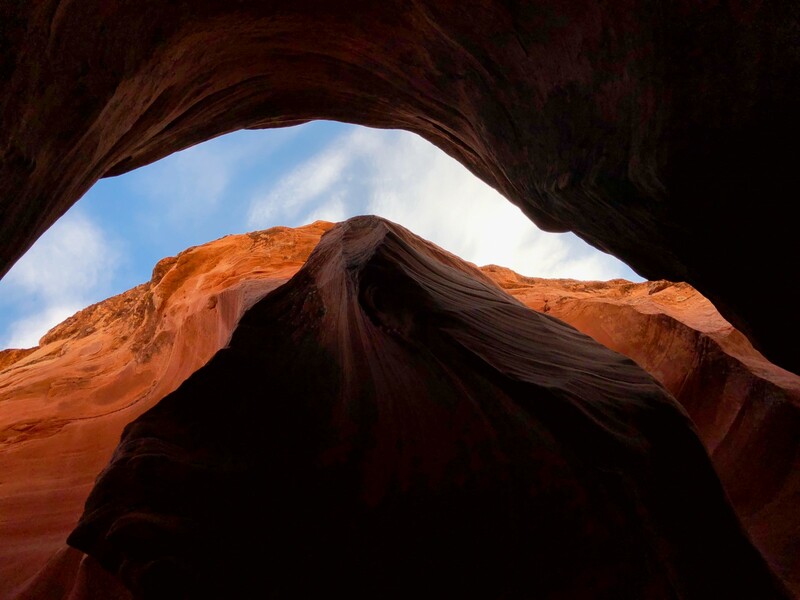 Upper Antelope, Side Canyon, and Rattlesnake Canyon are also located along the same Antelope Canyon wash and they are hidden gems of the area. Of the three slot canyons I visited, Rattlesnake Canyon might have been my favorite, simply because it involved ladders and very few other people. It was not as accessible for travelers who aren’t as mobile. 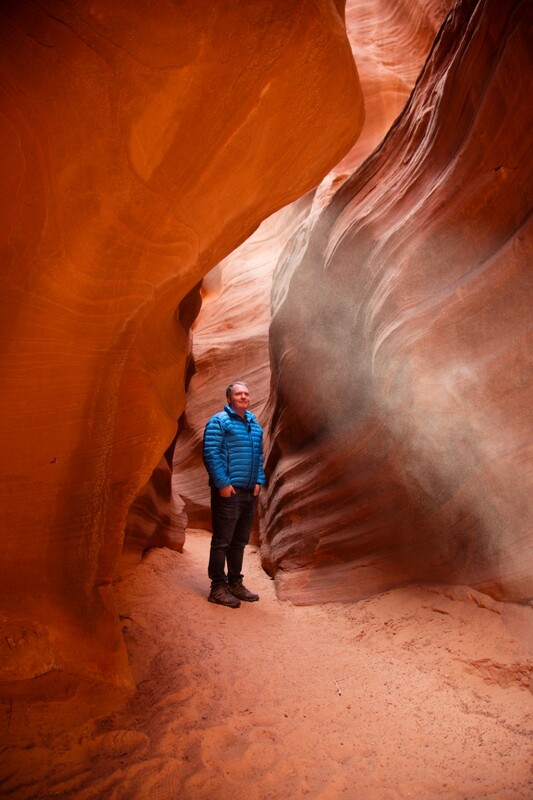 Our private three slot canyon tour was arranged by the staff of the Amangiri, where we were staying for this trip. Our guide was Dillon, and he was excellent. He also knew the best photo spots. 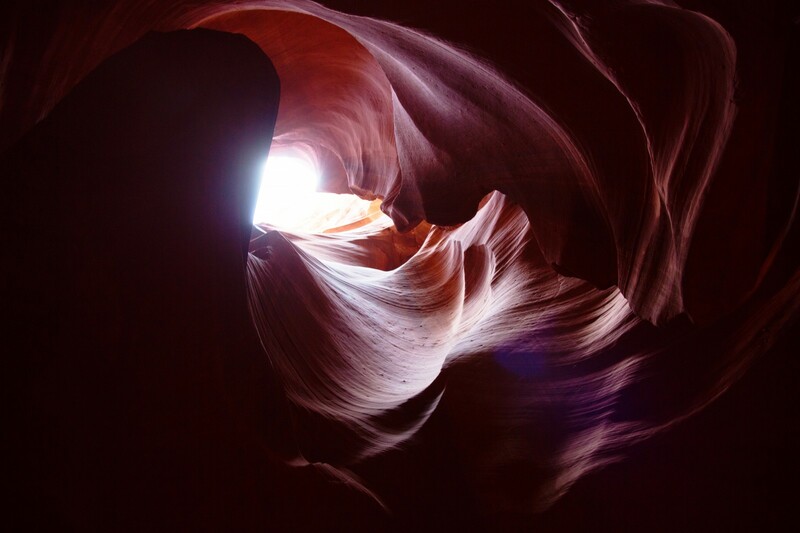 Many photographers like to visit Antelope Canyon during June, July, and August when the light beams are at their strongest. This is also the season for peak heat in the area, with average daily high temperatures of over 90 degrees. If it’s cloudy, you won’t see the light beams. All visitors to the area (especially photographers) should be aware that the area is very dusty. And tour leaders will often stir up dust to make the light beams more photogenic. 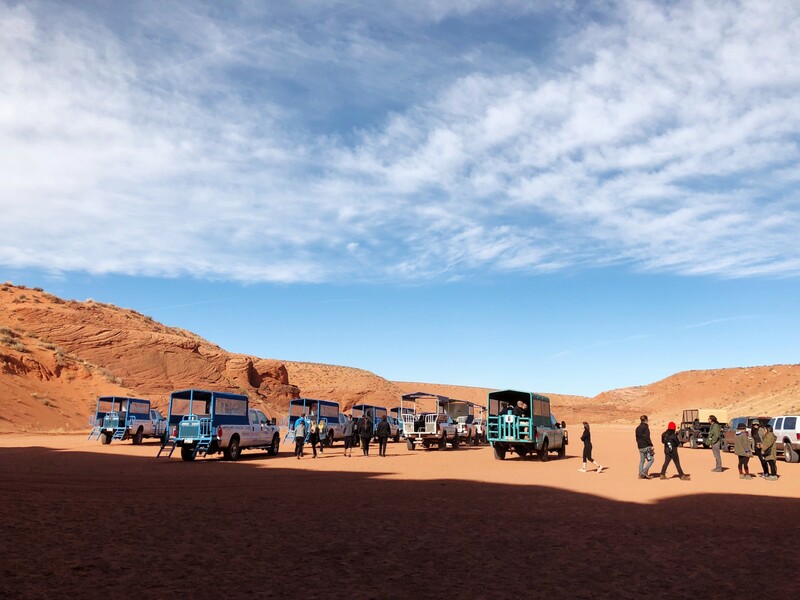 Different tour providers use different types of vehicles to bring visitors into Antelope Canyon. Most used converted pick up trucks. 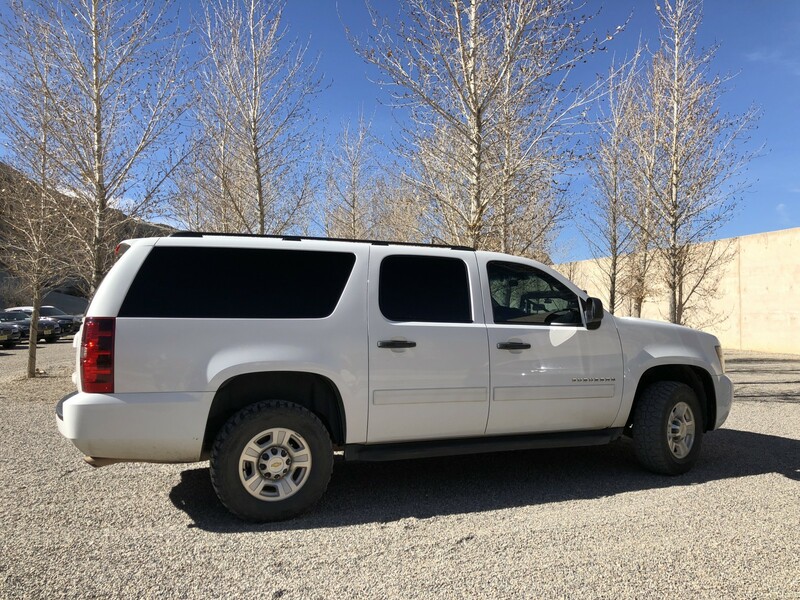 I was glad that our tour was in a comfortable dust-free Suburban. Our private luxury Three Canyon tour for two people was arranged by the Amangiri. It took about 3 1/2 hours door to door and cost $725 + 10% service charge. Not cheap, but it was totally worth it if you want to see the slot canyons in comfort and minimize crowds. If you’re looking for things to do in the American Southwest, I highly recommend taking a tour of the slot canyons. As much as I liked exploring Upper Antelope Canyon, it was hard to beat having Side Canyon and Rattlesnake Canyon almost all to ourselves. 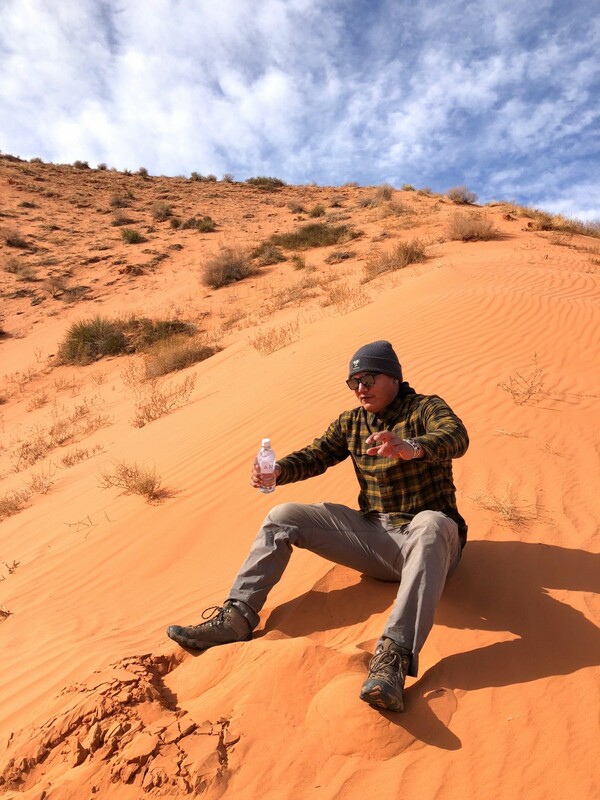 Pro tip: wear hiking boots when exploring the slot canyons of the southwest. 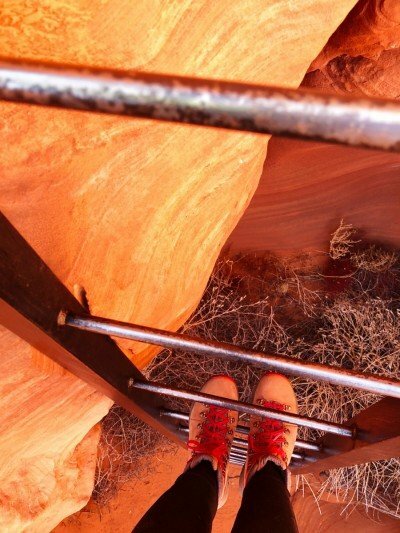 You might be able to get away with everyday shoes in Upper Antelope Canyon, the terrain can be challenging and you’ll be better off in appropriate footwear. 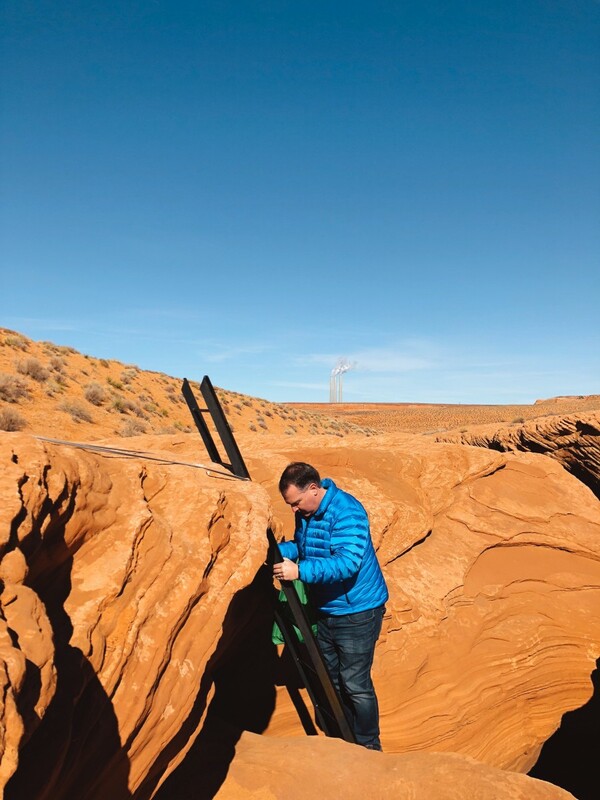 While the Amangiri is located just over the border in Utah, they arranged our Three Slot Canyon tour. It was highly memorable experience and well worth the price. The closest airport is Page, Arizona.